Harry N. Abrams, 9780810984684, 32pp. Nikki McClure is a self-taught artist who has been making paper-cuts since 1996. She is the author and illustrator of Abrams' Collect Raindrops and the illustrator of All In a Day, by Cynthia Rylant. 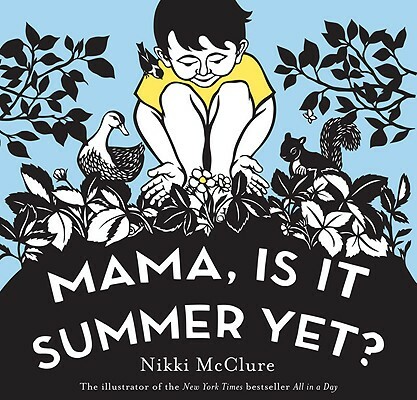 Kirkus said her "illustrations make such nebulous concepts as hope and renewal accessible to young readers," and Publishers Weekly said children will enjoy "the tenderness of McClure's images." She lives in Olympia, Washington.